MRA works to restore the Magothy’s five existing oyster reefs, all of which are severely degraded. 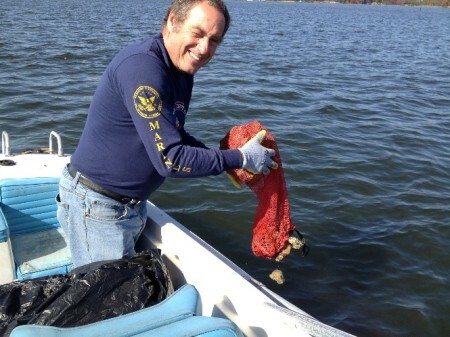 Each fall, MRA volunteers plant oysters on the Magothy sanctuary reefs. When supplies are available, MRA works to obtain additional spat from the state or the Chesapeake Bay Foundation. MRA has also partnered with Anne Arundel Community College and the US Army Corps of Engineers to provide new sources of hard substrate for the reefs, so that oyster have extended surfaces on which to adhere.